Rose Hollow is a small enclave of only 7 remaining homes that is situated on a quaint cul-de-sac street in West Grove, PA. Located close to Rt 41 & Rt 1 for easy commuting. Wilkinson Homes is offering the beautiful Brittingham floorplan with approx.. 4800 square feet of living space. 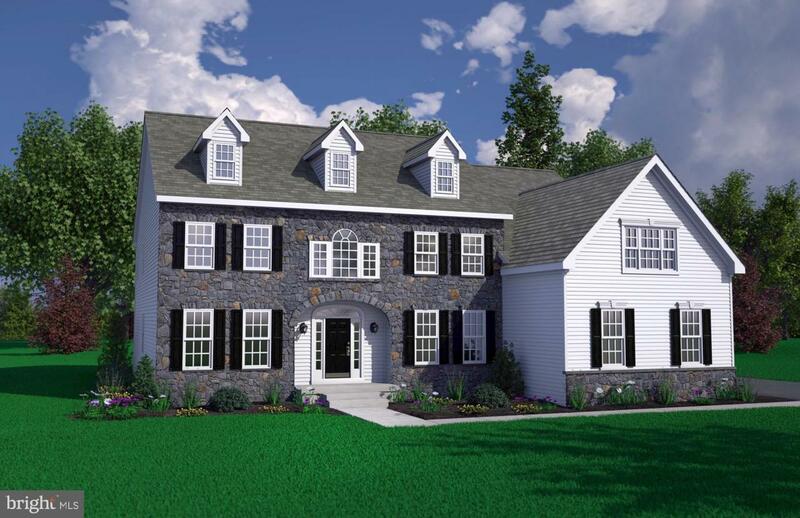 The Brittingham features 4 Bedrooms, 3.5 Bathrooms, Study and 3 car Garage. This open floor plan boasts a beautiful 2 story foyer and open kitchen with large breakfast room. Just off kitchen is the sunken family room, study, formal living room and dining room. The Kitchen features large center island and granite countertops. The 2nd floor offers 4 great sized bedrooms and 3 full bathrooms. The Owner~s Suite features two large walk in closets, a Sitting Room and Dressing Room. The Owner~s Bath offers dual sinks and a stall shower. Wilkinson homes offers additional customizable floor plans and different models may be walked through at builders on site location. Call for more details. Sample photos and renderings shown. Will change based on Buyer's selection at time of contract. Listed price reflects the Brittingham with Traditional elevation.